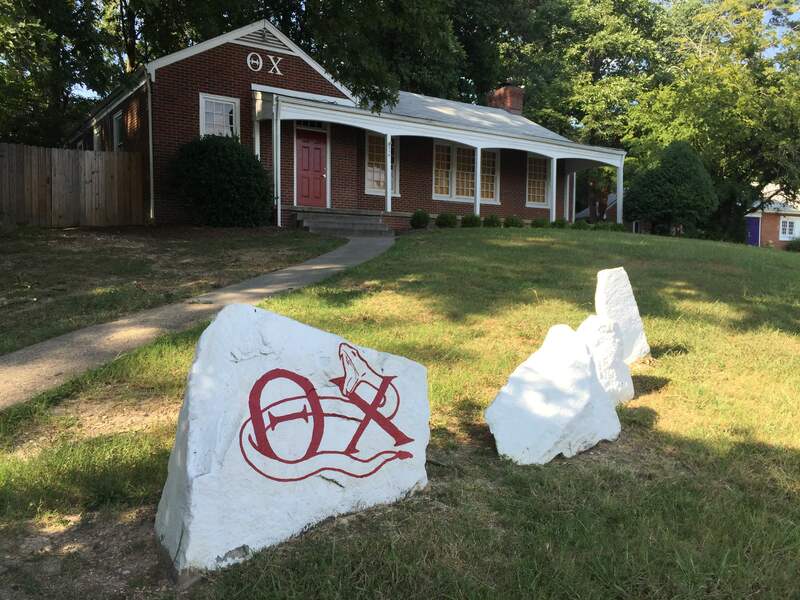 Theta Chi at the University of Richmond actually began as a local society known as Zeta Xi in 1908. This group petitioned and became the Omicron Chapter of Theta Chi on May 29, 1915, with E. Wesson Clark (Alpha/Norwich 1892) National President of Theta Chi, presiding. Newton R. Ancarrow was the firs president of the new chapter. The inaugural address was given by National President Clark, after which adjournment was made to the banquet at Murphy’s Hotel. A number of notable alumni come from the Omicron Chapter including the former President of Miller Brewing Company, William K Howell (1953), and the former VP of Columbia Records, Stephen C. Buckingham (1971).